Adam: Thanks again for taking the time to share your advice. First things first, though, I am sure readers would love to learn more about you. What is something about you that would surprise people? Ziga: My pleasure and thank you for the opportunity to share our story with your readers. Chairing one of the leading family entertainment companies with a master’s degree in governing non-profit organizations might be quite surprising. Before joining Outfit7, I was involved in NGO activities – I co-founded a youth organization called Simbioza, where more than 15,000 volunteers taught 20,000 senior citizens how to use computers. Simbioza is now a social enterprise, connecting generations, while Outfit7’s Talking Tom and Friends is a leading mobile game franchise, connecting people from nearly every country in this world. 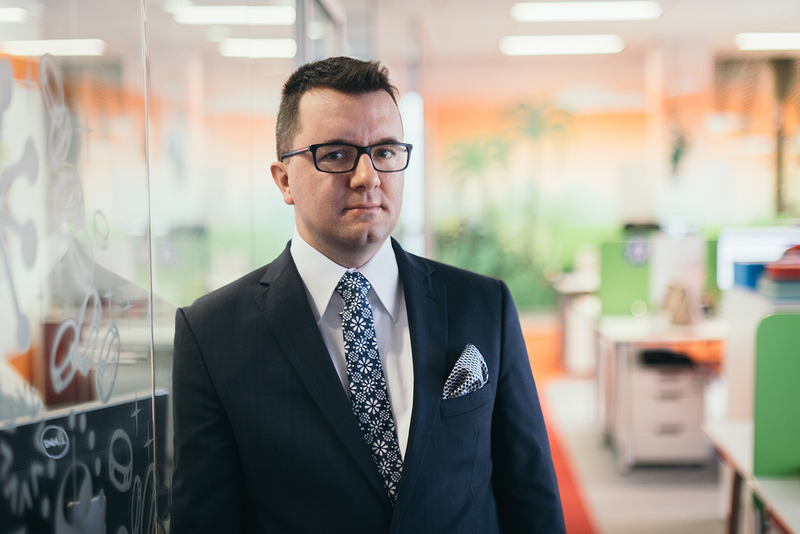 Ziga: To be honest the biggest challenge for me has been stepping into shoes that were just a bit too big for me, I remember how difficult it was for me when I first joined Bee7 (Outfit7’s spin-off) – imagine all that talk about SDKs, API integration and me, a non-tech guy. But through learning, an open mind, responsibility and some courage and determination, I managed to make my way from an external contractor of the company to the Chairman of one of the fastest growing family entertainment companies in the world. This year, Outfit7 celebrated 8 billion downloads of its mobile games—that’s more than the world’s population. We could have never gotten to this place without constantly taking risks (and making mistakes). Ziga: For sure, she or he must understand the complexity of the world, how fast things change and what are going to be the challenges of the future. Walk the talk (what you demand from others, you should first demand from yourself) and stick to your values are two of the most important things I have learned on my way. I also need to also mention responsibility, as I cannot imagine being an effective leader, without being a responsible one too. And it is not about me, it is about all of us – today, you need a great team to win. Of course, talent counts, but it is not enough. Another thing that is very important to me personally is respecting your roots, where are you coming from. I deeply respect the founders of Outfit7, as they are the ones who began this amazing legacy. Respect diversity in the world and understand yourself, especially whatever your weaknesses and strengths are. It looks “cool” to be a leader, but it is a journey. To take leadership to the next level, you need to learn every day (I recently decided to learn Chinese). And you need to have the ability to think differently. This is the reason why I admire Mr. Zhu, the majority owner of Jinke, and his vision of joining the online and offline worlds. In this vision, to connect different worlds, there might be a secret about complex challenges we are facing. Ziga: Start with why. “Why” is the most important question we can ask, but after childhood, the system does a good job of teaching us to forget it. When you ask “why,” you discover your values; they are fundamental for everything. At Outfit7 Limited, we live by these values–have fun, make it happen, work as a team, no limits, and own your #hit. In staying true to these core values, we have found a way to bring smiles to billions of people who play our mobile games and watch our animated content. Lastly, I’d say to respect differences, as they are the beauty of our world. Human beings are starting to ignore this. It is something that enriches us, makes us better and gives us the possibility to learn all the time. One of my favorite things about Outfit7 Limited and the Talking Tom and Friends franchise we’ve built is its ability to connect with so many different people across so many different cultures, religions, ethnicities, social circumstances, and backgrounds. Ziga: Smile. It doesn’t cost anything. It might sound strange, but being in a hurry or bad mood I smile to a stranger on a street or in a grocery shop. It often makes someone else’s day and it makes my moment. I would like to live in a world, where people would be nicer to each other. And we should not forget that small things can make a big difference. Ziga: The one that shaped me the most is good food. I really respect great chefs; I consider them as artists. Another very important hobby is traveling. I started quite young—alone—and it helped me understand the complexity of the world and how being different enriches us. Reading too. It is about learning and getting a new perspective. For sure I love being around my friends, playing our games, and meeting new people.